From New York Times bestselling author Oliver North, comes this heart-thumping novel about an undercover FBI agent who uncovers a deadly plot to attack the United States. Veteran undercover FBI agent Jake Kruse is investigating a smuggling ring in southern California when his assignment is cut short by a prominent criminal defense attorney, who wants to hire Jake to kill the daughter of a local crime boss. What begins as a “contract killing” soon captures the attention of the CIA, the US Secret Service, and high-level Washington officials. Before he knows it, Kruse finds himself plunged into the life-threatening underworld of North Korean espionage, Hezbollah terrorists, and a plot to bring down a commercial airliner over the US. 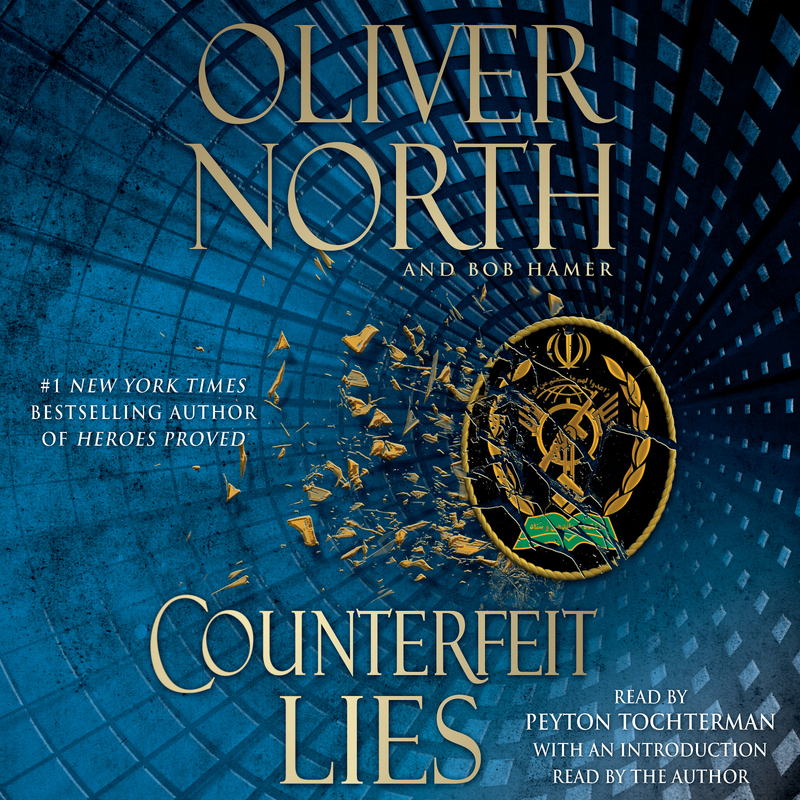 Fast-paced, thrilling, and filled with authentic detail, Counterfeit Lies is a tale of non-stop action that could only be written by those who have “been there, done that.” Decorated war veteran Oliver North and coauthor Bob Hamer weave their real-life experience into this tautly written tale of international intrigue and suspense. They say it’s fiction—but it’s all too real. 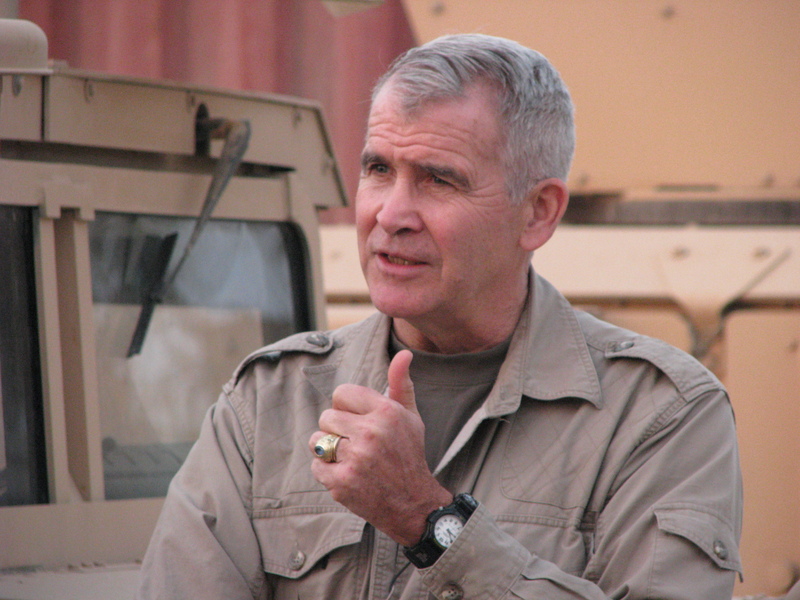 Oliver North is a combat-decorated US Marine and recipient of the Silver Star, the Bronze Star for valor, and two Purple Hearts for wounds in action. From 1983 to 1986, he served as the US government’s counterterrorism coordinator on the National Security Council staff. President Ronald Reagan described him as “a national hero.” A New York Times bestselling author of both fiction and nonfiction, he is also host of the award-winning documentary series War Stories on Fox News. North lives with his wife, Betsy, in Virginia. They have four children and sixteen grandchildren. Visit him on Facebook and Twitter, or learn more at OliverNorth.com. Bob Hamer spent four years on active duty in the Marine Corps and twenty-six years in the FBI. Many of those years in the Bureau were spent in various undercover assignments. He received the FBI Director's Award for Distinguished Service and is now an award-winning author. He and his wife, Debbie, live in Southern California. They have two children and five grandchildren.